Caleb Walker practices as a personal injury and car accident attorney, which also includes the areas of wrongful death, trucking wrecks, and medical malpractice cases. 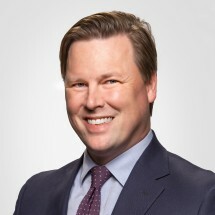 Caleb is a seasoned litigator for trial law and appellate law, having argued before the Georgia Court of Appeals and the Georgia Supreme Court. He is also an adjunct faculty member at the Walter F. George School of Law teaching legal writing. As a law student, Caleb was recognized for his work as a volunteer with the Georgia Public Defenders Standards Council on a case heard by the Georgia Supreme Court. Caleb practiced civil litigation and criminal defense in Madison, Georgia. He also served as a law clerk to Chief Justice Marth Christian and Judge Ed Ennis of the Macon Circuit Superior Courts. He then joined the McArthur Law Firm to use the practice of law to help injured clients obtain justice. Call today for a free consultation with Caleb!